In 1996, we moved our house to the middle of the family farm, down from the place we began as newly weds. The movers cut the house into three sections, loaded it on trucks, carried it across a bridge, through mother-in-law’s yard, a hog lot, our old yard, and down a sandy lane. Sorry for the long description. However, the point of this post is that anything worth having is never easy. In fact, the lane they pulled our house down, we have pulled cement trucks, electrical trucks, and a pool truck up that same sandy lane with a tractor. 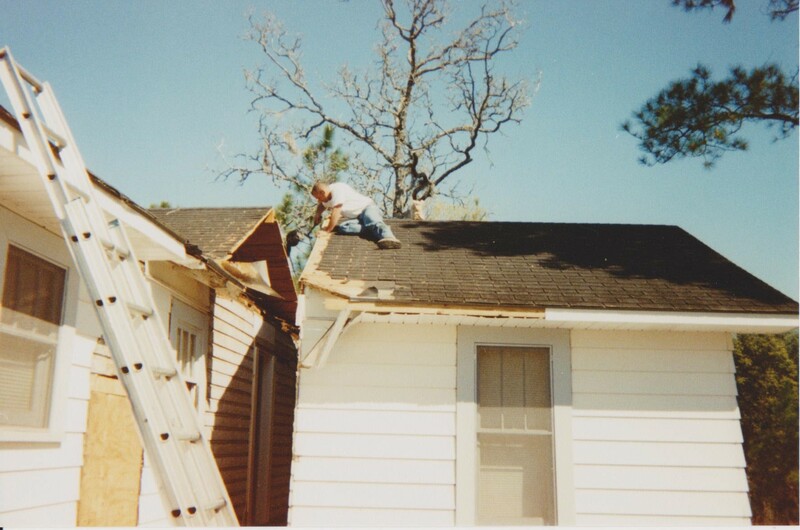 Once the house had been put back together, I was ready to move in. The problem: we had no water. So, I got busy. I called a man about a well. He promised me he could find water. Two holes later, he admitted defeat. The land was too sandy. The walls kept falling in. Rather than giving in to my frustrations, I called another guy. Nothing. Most drivers that make the mistake of turning their wheels the wrong way usually get hauled out with the tractor. Yep, it’s that sandy. Along about now, some of you are wondering why we waited to dig a well after we relocated the house. Two reasons. One, we weren’t worried about finding water. Our first well was just over 750 feet away. Two, we were on the mover’s schedule. When they said it was time to move, we moved. No excuses. No delays. We had just finished clearing the land when they called with an opening. With no well, no water, and no way to move in our new home, we all began to worry. Pa-in-law, the thinking man that he was—bless his sweet heart—began to ponder the problem and came up with a solution. We have a well. Check. We were downhill from said well. Check. Running downhill, we should have excellent water pressure. Check. Why not try connecting to the old well? Why not? By that time, we were willing to try anything. Ever been there? The only problem was—that’s right—the well was over 750 feet uphill through a patch of dense woods loaded with oaks and pines. Ever tried digging around an oak or pine tree? Forget the ditch witch and the tractor. No room. Hmmmmm. Sigh. It was a daunting task. Yet one that had to be done! So we drew out the plan and then purchased PVC pipe and glue. Hubby began digging just outside the kitchen window, across the lane, and into the woods. Each morning when he left for work, my three-year-old and I would grab a shovel, an ax, and head to the woods to dig 25 feet. Then hubby would dig a few more feet when he came home. This was our schedule until we reached the well. What seemed an unending task was well worth the effort the day we moved in. To this day, we have excellent water pressure and plenty of water. Ain’t God good?! Just as that physical well is my thirst quencher, Jesus is my spiritual thirst-quenching well. At times, my problems may seem daunting—unsolvable. But, if I take life one day at a time and follow His plan, soon the battle will be over, the victory will be won, and I will move into my new home. Allow me to encourage you, today. No matter where you are, whether it is sandy, rocky, or muddy, dig past the bedrock of the present circumstances until you reach the life-sustaining Spring. Thank Him for this season. I promise, you will find a refreshing drink of strength to carry on. Where there is a Well, there is a Way.